It’s really heartwarming to receive a lot of support from the international community. great collection of photos! more than the negativity, i guess the filipinos and the world learned/gained a lot of lessons from this event. Thank you for sharing this update… I cant imagine how much effort it’s going to take to get people’s lives together again. 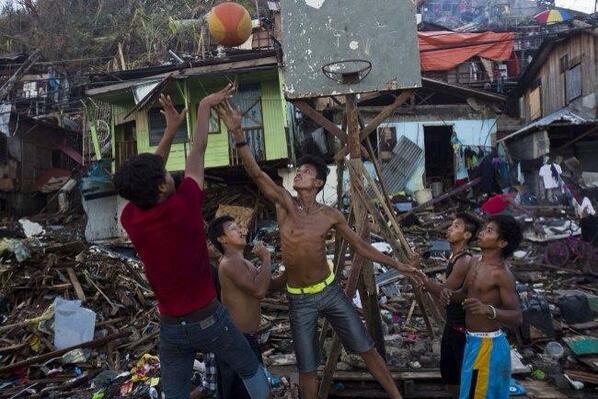 My prayers are with all in the Philippines. Thank you to all the countries that help Philippines. 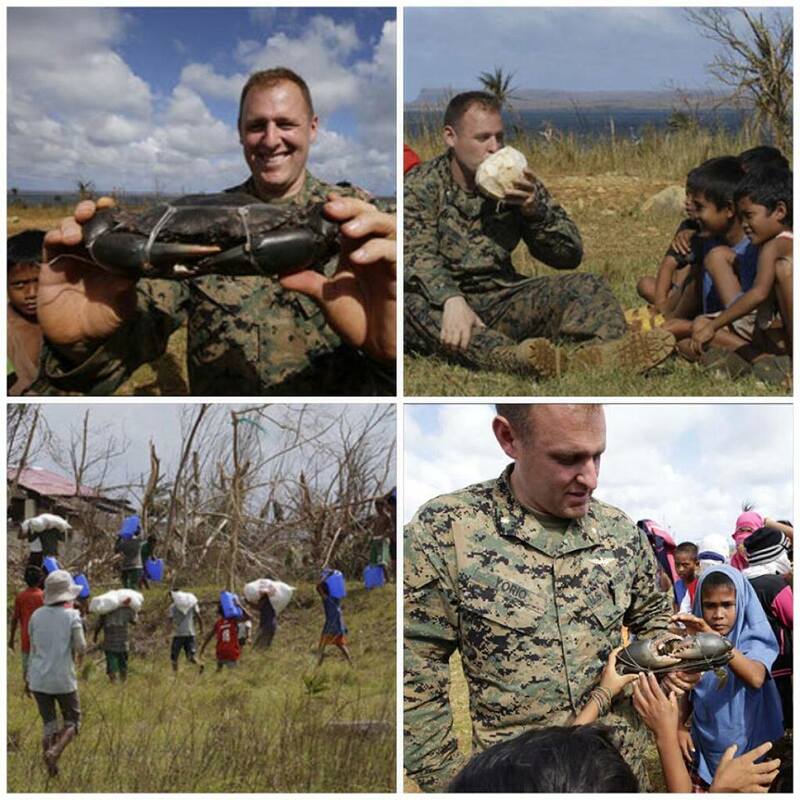 Thank you to the US marines for all your effort and help. May God bless you all. 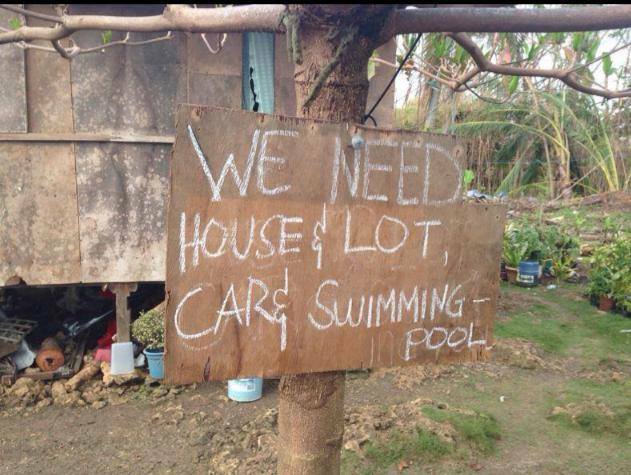 Demanding, car and pool hahahaha! Seriously, with all the help we get from other countries, I hope they cleaned up all that mess. I mean like just simply wipe it all and probably burned them then build new ones. Like a simple town house. Wishful thinking lang hehehe! Thank God! I knew we should not always be bitter! Seeing positive post like these is heart warming! This is a very well-written post Kat! Actually, I already stopped reading typhoon-related articles because they always seem to feature the negative aspects, unlike this post which is very uplifting. BTW, I truly appreciate the message that you sent when I was at my lowest. Everything’s fine now. Thanks a lot! Glad to know that everything’s fine now. 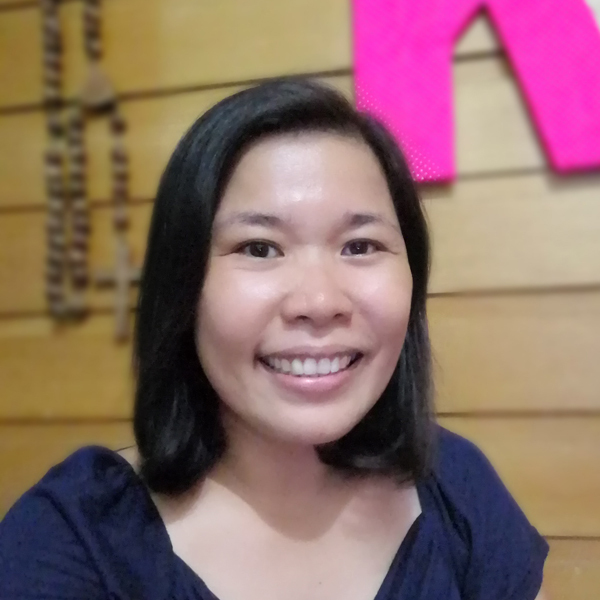 I remember you writing about going home to Leyte and going to that nice resort which I wanted to visit because of your post. Stay strong, Lady! Oh wow. What a nice and touching compilation of photos and stories. I’m fighting tears here! I have read so many typhoon Yolanda stories and they never fail to give mix emotions. I feel sad and terrified, but at the same time, I also feel happy and hopeful. Little boy Benjie reminded me about a scene from Wansapantym show a few weeks back (not sure about the date, but the theme is Christmas). When EJ (played the main character) drop few coins inside a donation a box, Tirso (another character) also drop money inside an envelope that is obviously a large amount. EJ looked to be ashamed but Tirso said, ” Wag ka mahiya. Kasi kahit gaano kalaki ibigay ko, mas malaki pa din ang ibibigay mo. Dahil yan binigay mo huling pera mo na na napakahalaga sayo.” I realize from that, that no amount is small when you give it from your heart. 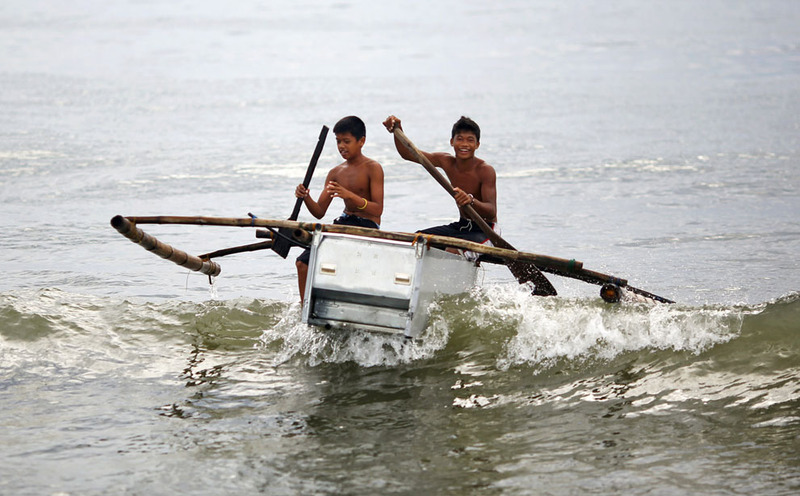 sometimes you can’t help but admire the filipino resiliency is such a difficult situation. i would’ve probably given up if i were in their shoes. but somehow, there’s a part of you that wants to keep on fighting the odds. It is amazing how everyone pitched in to help! 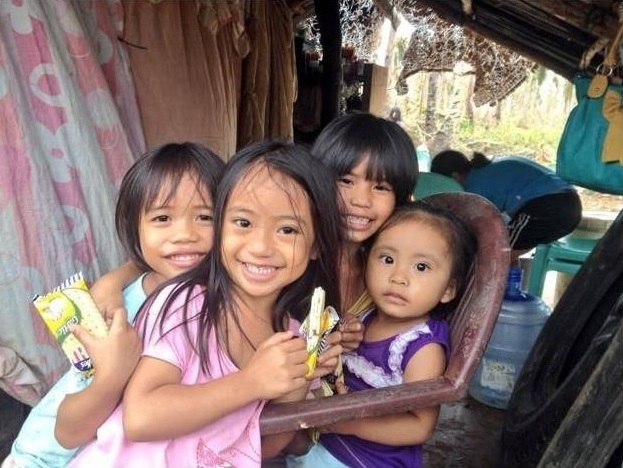 From the bottom of our hearts “Thank You” for helping our countrymen who have been affected by Typhoon Haiyan. 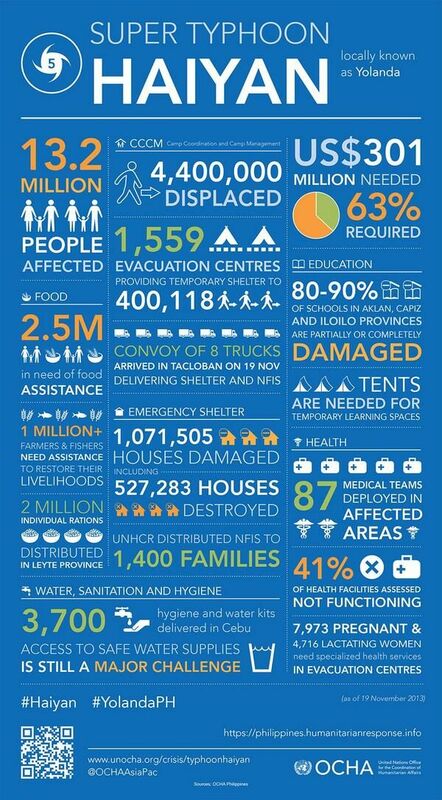 i am also touched by the immense help of the other nations who personally went out of their way to help. 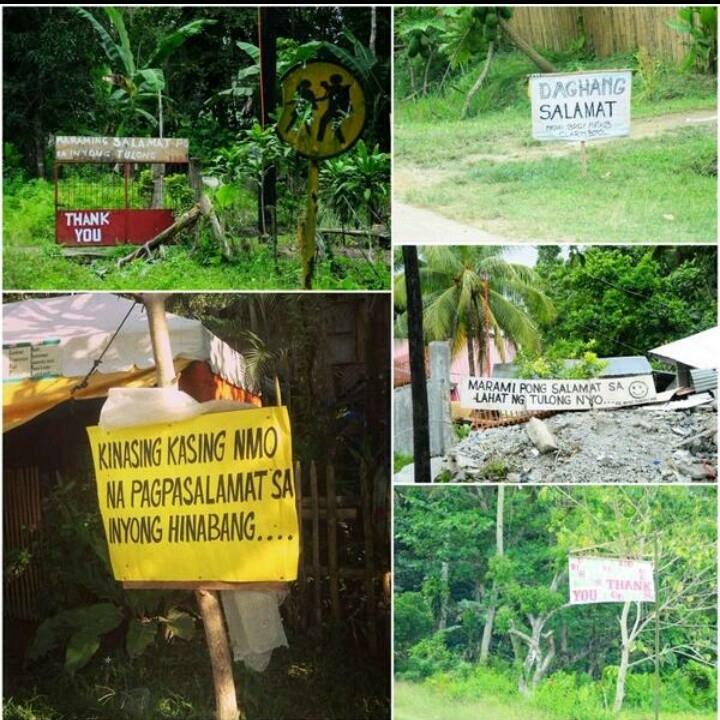 Heartwarming talaga seeing such banners. this only shows how thankful they are. I am also very much thankful for all the people who helped in every way they can. I have my relatives at Leyte and until now, we can’t contact them but just heard that they are fine is already a huge blessing. Thank you so much! 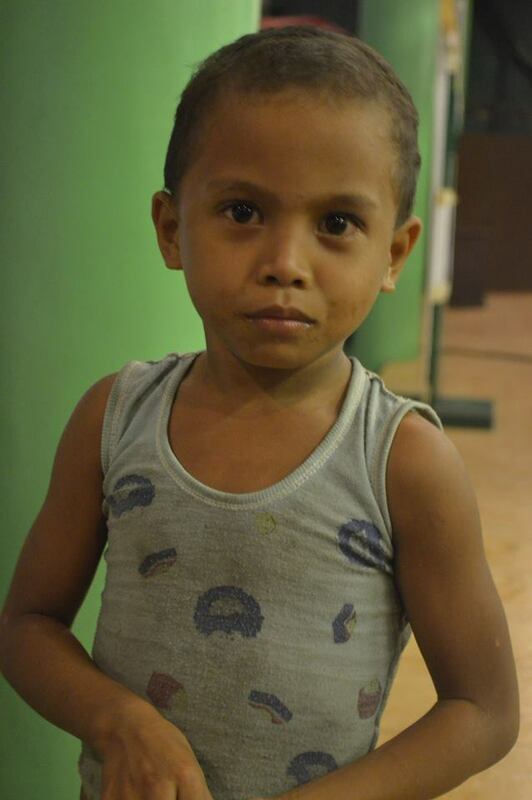 I was fighting tears while reading Benjie’s story. 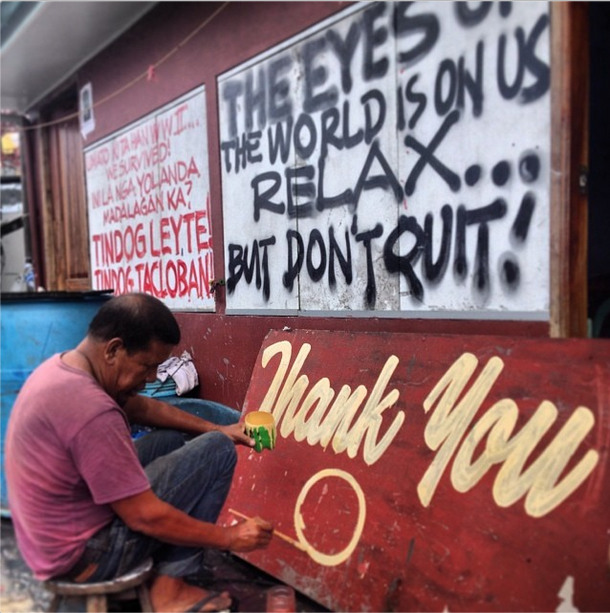 Your collection of photos and stories from the typhoon is definitely heartwarming. Really heartwarming to see that the whole world is all-out to help us! Amazing! For that, I can’t wait to see Leyte and Ormoc rebuilt again. I’m happy to see that they are recieving aid that they need. How are you doing Kat? I am doing okay, Eliz.